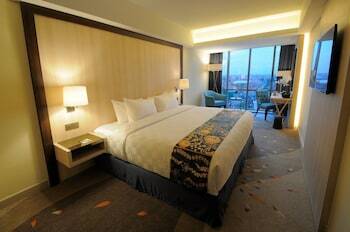 Located in Semarang, Louis Kienne Hotel Pandanaran is within a 5-minute drive of Lawang Sewu and Ciputra Mall Semarang. Featured amenities include a business center, dry cleaning/laundry services, and a 24-hour front desk. Free self parking is available onsite. Located in Ngadisari, Rahayu Hotel is within a 15-minute drive of Putus Square and Mount Bromo. The front desk is staffed during limited hours. Free self parking is available onsite.